I earnestly am pained to have to request that Genl Fremont may be superceeded in the command of the Western Department. The war men of St Louis concur in representing the condition of affairs there to be such that I am constrained against my own prepossessions to unite with them in the conclusion that this step is required by public interests. Frank has endeavored to aid Fremont in good faith & has I believe the general confidence of the Union men of the State, but finding himself of no use has gradually withdrawn ceased to give counsel & limited himself to his immediate command. But Finding that this Fremont has commenced a warfare upon him in the newspapers It is probable indeed that the same jealousy which the special confederates of of Fremont openly manifested towards Lyon was felt towards Frank who was very much identified with Lyon in the popular mind and there is manifestly a purpose to take Franks regiment from him. An effort was first made to [vent?] Fremonts body Guard out of it Frank protested of course– That was relinquished only to start a scheme of taking away three of his German companies on the pretext of organizing them with other German companies Frank again protested This is the ground of attack in the newspapers in which it is said that Mr Politician Blair is no longer omnipotent in Missouri– That he has no commission as Col &c &c.
Blair was strongly pro-Lincoln and strongly anti-Radical. 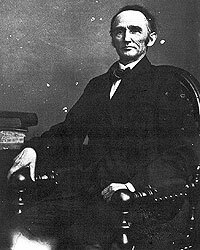 In October 1863, Montgomery Blair threw a grenade at the Radicals that landed in the middle of the Lincoln Administration. 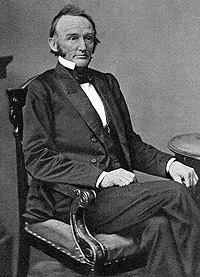 Lincoln chronicler John Waugh wrote: “It was a funeral Montgomery Blair had in mind when he went to Rockville, Maryland, in early October to address a Union Party meeting. The intended corpse was Sumner’s congressional-supremacy thesis. Just when it appeared peace was nearly won, the rebellion destroyed, and slavery suppressed, Blair began, ‘we are menaced by the ambition of the ultra-Abolitionists, which is equally despotic in its tendencies and which, if successful could not fail to be alike fatal to Republican institutions.”13 He linked Radical Republicans with racial amalgamation. 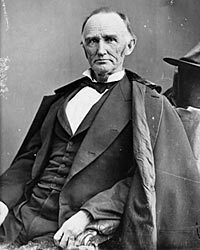 Although President Lincoln did not yield to the pressure from General Halleck to dismiss Blair, he yield two months later to pressure from Michigan Senator Zachariah Chandler and other Radical Republicans to dismiss him. Chandler had tried to match the withdrawal of the independent presidential candidacy of General John C. Frémont with Blair’s expulsion from the Cabinet. Fremont had rejected a deal, but nevertheless withdrawn – sealing Blair’s fate. Nevertheless, Blair’s loyalty to the President and ambition for another post remained undimmed. 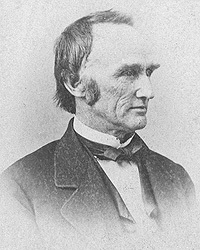 He unsuccessfully sought Mr. Lincoln’s nomination as Chief Justice of the Supreme Court later in the fall. On December 6, 1864, Blair wrote President Lincoln a long memo on his views on the progress of reconstruction. In compliance with your request I commit to writing the views to which I referred in a recent conversation. The gradual suppression of the rebellion renders necessary now a persistence in the policy announced in your amnesty proclamation, with such additional provisions as experiment may have suggested – or its repudiation and the adoption of some other policy. For my part I recognize the plan already initiated by you as consonant with the constitution – as well calculated to accomplish the end proposed, and as tending to win over the affections of a portion of the disaffected citizens to unite with all the loyal to aid the work of the military power wielded by you – allying them in its consummation as the restorers of order and good feeling throughout the Union. This plan so far has had happy results. In Missouri – the Governor, Lieut[.] 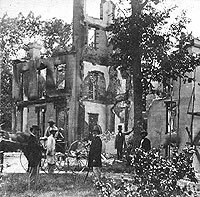 Governor, the Senate and House of Representatives, all concurring The State so far as its authorities were concerned was put out of the pale of the Union, and the State Militia assembled in front of its great city to assert the authority of the Rebel Confederacy. You have repeatedly driven out the rebel power and enabled the loyal people of the State to restore amend and reinvigorate their constitutional authority without the intervention of Congress – Kentucky paralized by the disaffection of the slaveholders and under the betrayal of its Governor, suppressed the loyal feeling of the masses by having the mask of neutrality imposed on it. The military force of the United States having expelled the armies from the South and their allies within the State, it has taken its true attitude on the basis of its own rights. Tennessee, Arkansas and Louisiana are on the point of embracing the amnesty proclamation and stepping into the Union under its provisions. They come recognizing the validity of your military proclamation – slavery being discarded wherever that reaches it, and so it is manifest, that just as soon as the regular military power of the Rebellion is driven out, the reign of the constitution of the Union is exhibited in the rising up of the State Government to resume its functions. The whole country hails in this auspicious beginning now assured of progress by your re election that your fundamental proclamation of freedom will be made universal by the vote of three fourths of the states extending and confirming it by constitutional amendment– No man of any party has the hardihood now to hint a doubt, that the scope of the measures so happily inaugurated, and proceeding under your auspices will secure forever the freedom of the slaves. What then is the motive for annihilating State rights? 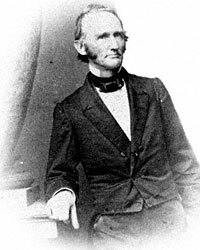 It is certainly unnecessary to maintain Mr Sumner’s “doctrine of State suicide” “State forfeiture State abdication” – the doctrine “that the whole broad rebel region is tabula rasa, or a clean slate, where Congress under the Constitution may write laws” in order to secure the extirpation of Slavery. Yet Mr. Sumner in his paper on this subject seems to confine his purpose of reducing the States to territories to the object of bringing Slavery within the grasp of Congress. He argues, “Slavery is impossible within the exclusive jurisdiction of the National Government. For many years I have had this conviction and have constantly maintained it. I am glad to believe that it is implied in the Chicago platform. Mr. Chase, among our public men is known to accept it sincerely. Thus Slavery in the Territories is unconstitutional; but if the rebel Territory falls under the exclusive jurisdiction of the National Government then Slavery will be impossible there”– Slavery being no longer in question under the mode of deliverance you have adopted, why are the States to be disfranchised and denied their municipal right? There is a purpose, and one the accomplishment of which depends on Mr. Chase’s idea of disfranchising the states, turning them into territories, and giving to Congress the power of making their local laws. It is the purpose of depriving the States of their hitherto unquestioned right of regulating suffrage. The States have heretofore made laws denying the suffrage to citizens under age to females – negroes – Indians – aliens not naturalized and others incapacitated by moral or physical defects. If the States resume their places in the Union under your proclamation and the loyal votes of the people are redeemed from the rebel usurpation, they may assert the political sovereignty as it stood of yore– This would enable the State Governments to exclude the classes from suffrage which from time immemorial the policy of free governments every where has for the most part retained in pupilage as well for the good of these feebler classes as the general good of the Commonwealth. The plan of denationalizing the States and throwing them out of the Union, because traitors have, for a time, enforced by arms an usurpation over them, the Government of the United States being unable in the emergency to fulfil its duty of protecting them, grows out of the ambition of another class of usurpers to seize the occasion of depriving the states of their indubitable municipal rights, while under the oppression of their secession enemies and unable to defend themselves in the councils of the Union– The object is undoubtedly to disfranchise the white race who created the state governments of the South, and who contributed their full share in asserting the national independence and creating the Government of the United States, and this is to be accomplished by the imposition of conditions by Congress on the admission of those states into the Union which necessarily forfeits those municipal rights heretofore exerted by all states in their internal Government. One object now avowed is, to enable Congress to constitute a government by exacting conditions on admission which shall put the blacks and whites on equality in the political control of a government created by the white race for themselves– This is not merely manumission from masters, but it may turn out that those who have been held in servitude may become themselves the masters of the Government created by another race. Mr. Chase, (whose friend Mr. Ashley first introduced into the House of Representatives the bill asserting power in Congress to make laws for the States – under the auspices of the then Secretary of the Treasury) succeeded through the management of Mr. Davis in carrying the measure. This revolutionary scheme looking to the establishment of a new control over the municipal rights of the State Governments in the South, has you well know been a favorite one, with the late Secretary. You will remember that Mr. Chase suggested the modification of your amnesty and reconstruction proclamation, so as to allow all loyal citizens to vote– This included all the freedmen while excluding all the whites who had been engaged in the Rebellion. This would probably have thrown the Governments of those states into the hands of the African race, as constituting the majority who had not borne arms against the Government, the whites generally, having forfeited the right of suffrage, and not likely to repent or to avail themselves of your amnesty, and the privilege of voting on Mr Chase’s terms. Mr. Chase had previously attempted to get you to recommend the establishment of provisional governments by Congress on the assumption that the States under usurpation, for want of protection on the part of the United States adequate to their defense, had committed suicide. These two schemes failing with you his next attempt to accomplish his object was through Congressional legislation. Failing in this through your refusal to sign the bill, his friends labored through the public press, and afterwards in the Convention to incorporate it in our party creed, and to make it an issue in the election, which would necessarily have defeated your nomination as its opponent. They not only failed on both these points, but Andrew Johnson was associated with you on the ticket – who had taken your stand on the question, and Tennessee was admitted as a State in the Convention as a practical comment to go to the country in condemnation of the doctrine of state suicide, which means that rebellion had triumphed in blotting out a state from the Union. Then the Davis manifesto was issued, and an intrigue set on foot to get up a new convention, and a new nomination, on the ground that you had put yourself in hostility to your party by refusing to resign the military power you as commander in chief had felt bound to exert in your proclamations of freedom of amnesty and reconstruction. Then to embarass [sic] you, Mr. Chase resigned in the fond hope that on his abandonment of the Treasury its stocks would fall and with them your credit in the country. He miscalculated his importance. On releiving [sic] the Treasury of his weight, the government securities rose rapidly. Your policy has stood the test of all these artfully prepared, ably conducted and most sinister attacks, and it has passed through the crucible of the late presidential election. It has the stamp of the popular sovereignty which alone has the right to decide authoritavely [sic], all fundamental contests among its political Departments or agencies. Still Mr. Chase and his friends do not rest satisfied with this decision. The Davis Manifesto declares on the authority of the Supreme Court, that it rests with Congress to decide “what Government is the established one in a State” and cites a case arising out of the Dorr rebellion in Rhode Island, and based on the right of the two Houses of Congress to say what members of Congress from that State were its true representatives. In fact, however, the decision of the court did not turn on such a state of case. Judge Taney in his opinion distinctly asserts that it was the recognition of the Governor opposed to Dorr, by the President of the United States in the exertion of his military authority in his support, that established which of the two asserting the right of Governor, was the true one. Mr. Taney declines the decision of the question, saying “much of the argument on the part of the plaintiff turned upon political rights, and political questions upon which the court has been urged to express an opinion. We decline doing so,” and declaring why it would not “overstep the boundaries which limit its jurisdiction”, concludes its decision with this pregnant remark, “no one we believe has ever doubted the proposition, that according to the institutions of this country, the sovereignty in every state, resides in the people of the State, and that they may alter and change their form of Government at their own pleasure. But whether they have changed it or not by abolishing an old government and establishing a new one in its place is a question to be settled by the political power – and when that power has decided the courts are bound to take notice of its decision, and follow it.” Well, what was the political power which exerted itself against the Dorr rebellion in Rhode Island which the court felt bound to follow? It tells us in these words, “The militia were not called out by the President. But upon the application of the Governor under the charter government, the President recognized him as the executive power of the State, and took measures to call out the militia to support his authority if it should be found necessary for the general government to interfere; and it is admitted in the argument, that it was the knowledge of this decision that put an end to the armed opposition to the charter government, and prevented any further efforts to establish by force the proposed constitution. The interference of the President, therefore, by announcing his determination, was as effectual as if the militia had been assembled under his orders. And it should be equally authoritative. For certainly no court of the United States, with a knowledge of this decision would have been justified in recognizing the opposing party as the lawful government, or in treating as wrongdoers or insurgents the officers of the government which the President had recognized and was prepared to support by an armed force. In the case of foreign nations, the government acknowledged by the President, is always recognized in the courts of justice. And this principle has been applied by the act of Congress to the sovereign states of the Union. “It is said that this power in the President is dangerous to liberty, and may be abused. All power may be abused if placed in unworthy hands. But it would be difficult, we think, to point out any other hands in which this power would be more safe, and at the same time equally effectual. When citizens of the same State are in arms against each other, and the constituted authorities unable to execute the laws, the interposition of the United States must be prompt, or it is of little value. The ordinary course of proceedings in courts of justice would be utterly unfit for the crisis. And the elevated office of the President, chosen as he is by the people of the United States, and the high responsibility he could not fail to feel when acting in a case of so much moment, appear to furnish as strong safeguards against a wilful abuse of power as human prudence and foresight could well provide. At all events, it is conferred upon him by the constitution and laws of the United States, and must therefore be respected and enforced in its judicial tribunals.” You have adopted the principle here recognized, in the much stronger case of the Southern rebellion which had put in abeyance the civil power both of the States and the United States by force of arms, in almost all of the slave states– Yet “the State Governments may be regarded (says Mr. Madison in the federalist) as constituent and essential parts of the federal government”. 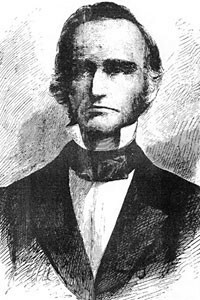 How then can Mr Sumner pronounce “that the States by their flagrant treason have forfeited their rights as States so as to be civilly dead.” while the federal government lives and its head, the President, recognizes their existence and his duty to maintain them “as constituent and essential parts of the federal government” which he is sworn to maintain? The State constitutions which their representatives brought in their hands when the united governments were formed became parts of the constitution of the United States, and these charters conveyed to the Nation the right of eminent domain in every acre of land in the several states and the common bond was the acknowledgment that the constitution of the United States and laws made in pursuance thereof, was the supreme law of the land– Now can it be admitted that suppression for limited time, of the civil power, state and national, in a part of these boundaries, by Rebellion, or invasion of a foreign foe, destroys either the superior or subordinate government within them. Messrs. Chase Sumner, Davis &c assert that the constitutions and the rights of the States under the Constitution of the United States are abolished by the rebellion You, on the contrary have asserted both the rights of the States and the rights of the United States by the constitutional exertion of the military power of the nation in all its plenitude to crush down the rebellion and uplift the suppressed civil power of the State and Federal government that they might resume their full constitutional vigor. As a necessary military measure to effect this result, you have abolished Slavery by proclamation, and as far as possible have withdrawn its strength from the enemy. The amnesty and re construction proclamations have the same view– These are the emanations of the war, accompanied by, and receiving their efficacy from the application of all the physical force, moral and mental energy of the nation which you as commander in chief are called upon by office to direct, to take the place of the civil power which has been dislodged in the section where the war prevails– You are compelled to act on the maxim “inter arma leges silent” that the voice of the nation speaking from the cannons mouth may become effective. In this state of things, the same men who insisted on your military proclamations as essential to the salvation of the country now insist that Congress must interpose to make provisional governments for states, as if they were not states and had no constitutions assuming that the Supreme Court recognize this mode of proceeding to supplant the power you have exerted as commander in chief, over the very scene of its military exhibition for the restoration of the civil power which the rebel armed power is attempting to hold in subjection. Your proclamation responding to the attempt of Congress to legislate on false assumptions of facts, and to take from you the command in chief when the Constitution places it absolutely in your hands – when all civil government is suspended in the presence of military government on either side – takes the true view of the question. Although you are unprepared “to declare a constitutional competency in Congress” to pass the act for the States in virtue of its power as superceeding their own, You are nevertheless “fully satisfied with the system of restoration contained in the Bill as one very proper plan for the loyal people of any state choosing to adopt it,” and you are prepared to give the executive aid and assistance to any such people as soon as the military resistance to the United States shall have been suppressed in any such State”– In this you do not resign “the Chief command” committed to you by the constitution until the military resistance requiring it is suppressed, nor regard the State Governments as extinct to be supplied with legislation by Congress, but always to choose “whether it they will adopt its legislation or not. This repudiates, as I understand it, the power of Congress to make governments for the States, or to compel them to submit to conditions as the price of their assuming their place in the Union. A fortiori, I conclude, that as you do not submit the military measures which as commander in chief, the constitution authorizes you alone to execute, to the legislation of Congress, you do not admit a right of jurisdiction over them as existing in any court, which would be an admission that they might be annulled or enjoined and so defeated by judicial authority– This is the ground taken by me in my Cleaveland [sic] speech last year[.] The Supreme Court in the passage I have quoted denies to itself the right of adjudicating on political questions which it says are to be referred to the sovereignty in which they originate, and much less can the courts intrude into military jurisdiction, and set aside measures of the commander in chief looking to the salvation of the Republic. Edward Dicey, Spectator in America, p. 84-85. Richard Nelson Current, Lincoln and the First Shot, p. 27. Charles A. Dana, Recollections of the Civil War, p. 157. John Waugh, Reelecting Lincoln, p. 118. John Niven, Gideon Welles: Lincoln’s Secretary of the Navy, p.471. William Ernest Smith, The Francis Preston Blair Family in Politics, p. 195-196. Frederick J. Blue, Salmon P. Chase: A Life in Politics, p. 227. Abraham Lincoln Papers at the Library of Congress. Transcribed and Annotated by the Lincoln Studies Center, Knox College. Galesburg, Illinois. (Letter from Montgomery Blair to Abraham Lincoln, September 4, 1861). Abraham Lincoln Papers at the Library of Congress. Transcribed and Annotated by the Lincoln Studies Center, Knox College. Galesburg, Illinois. (Letter from Montgomery Blair to Abraham Lincoln, September 14, 1861). Frederick J. Blue, Salmon P. Chase: A Life in Politics, p. 228. Harry. J. Carman and Reinhard H. Luthin, Lincoln and the Patronage, p. 324-325. William Ernest Smith, The Francis Preston Blair Family in Politics, p. 232-233. William Ernest Smith, The Francis Preston Blair Family in Politics, p. 237-238. Leonel L. Richards, Who Freed the Slaves? : The Fight over the Thirteenth Amendment, p. 130. Ralph Korngold, Thaddeus Stevens: A Being Darkly Wise and Rudely Great, p. 219-220. Allan Nevins, War for the Union: The Organized War to Victory, 1864-1865, p. 105. Abraham Lincoln Papers at the Library of Congress. Transcribed and Annotated by the Lincoln Studies Center, Knox College. Galesburg, Illinois. (Letter from Henry Wilson to Abraham Lincoln, October 25, 1863). Abraham Lincoln Papers at the Library of Congress. Transcribed and Annotated by the Lincoln Studies Center, Knox College. Galesburg, Illinois. (Letter from Zachariah Chandler to Abraham Lincoln, November 15, 1863). 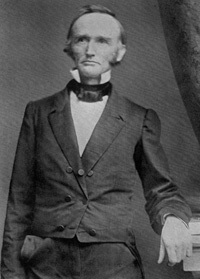 Michael Burlingame, editor, Lincoln Observed: Civil War Dispatches of Noah Brooks, p. 78 (October 30, 1863). Michael Burlingame and John R. Turner Ettlinger, editor, Inside Lincoln’s White House: The Complete Civil War Diary of John Hay, p. 105-106. Michael Burlingame and John R. Turner Ettlinger, editor, Inside Lincoln’s White House: The Complete Civil War Diary of John Hay, p. 107 (November 2, 1863). Abraham Lincoln Papers at the Library of Congress. Transcribed and Annotated by the Lincoln Studies Center, Knox College. Galesburg, Illinois. (Letter from James Dixon to Montgomery Blair, October 7, 1863). William Ernest Smith, The Francis Preston Blair Family in Politics, p. 242-243. William E. Gienapp, Abraham Lincoln and Civil War America, p. 163. Abraham Lincoln Papers at the Library of Congress. Transcribed and Annotated by the Lincoln Studies Center, Knox College. Galesburg, Illinois. (Letter from Henry W. Halleck to Edwin M. Stanton, July 13, 1864). Roy P. Basler, editor, The Collected Works of Abraham Lincoln, Volume VII, p. 440 (Letter to Edwin M. Stanton, July 14. 1864). Abraham Lincoln Papers at the Library of Congress. Transcribed and Annotated by the Lincoln Studies Center, Knox College. Galesburg, Illinois. (Letter from Montgomery Blair to Abraham Lincoln, December 6, 1864).